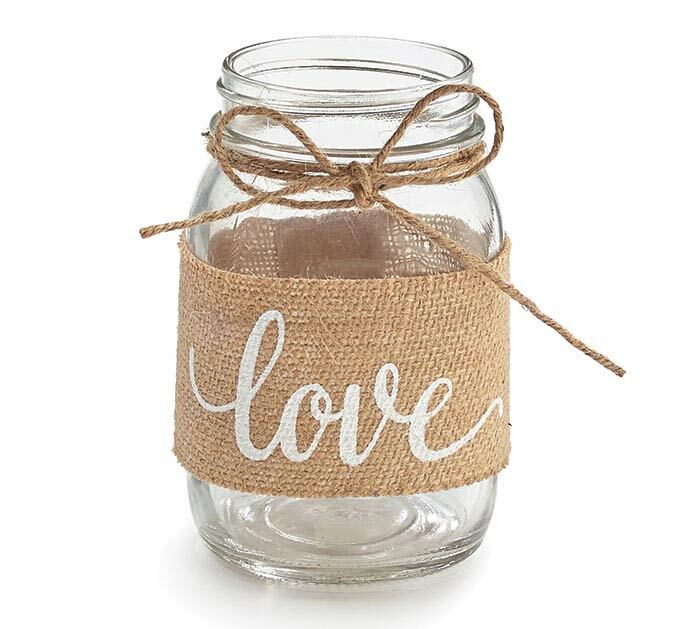 Pressed glass pint size mason jar with burlap "Love" script message and accented with twine bow. Liquids should not exceed 122 degrees. 5 1/2" H x 2 1/4" Opening.